And today I’m sharing my bullet journal. Or that’s what I’m calling it for lack of another term. It is done in the bullet fashion, but it’s my everyday journal, my to do list book, where I put quotes and ideas, do my planning and so much more. 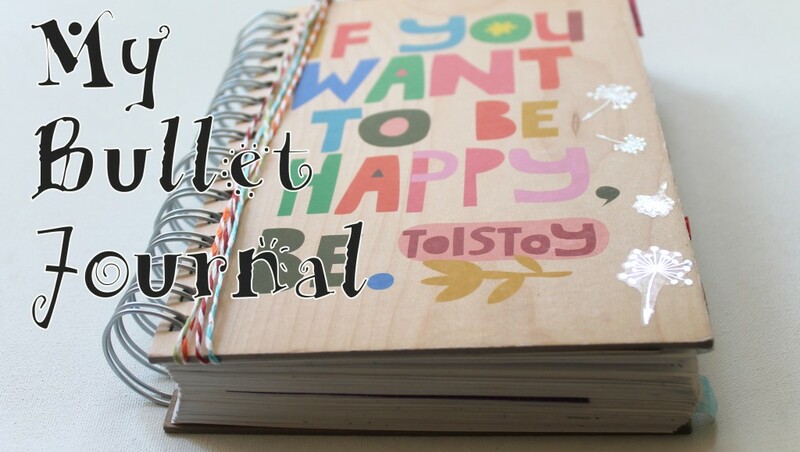 If you’re interested in more information (and the correct information) about what a bullet journal is, click here to see a really useful video and get loads of information. 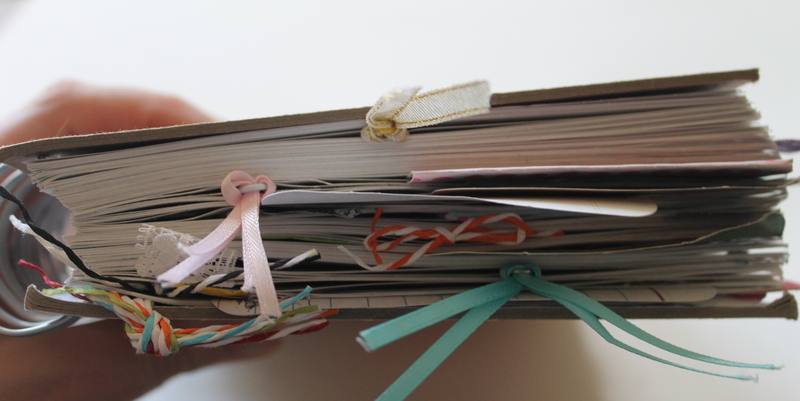 You can use absolutely any notebook or journal you like. I have actually since making that video completed that journal and started on a new one. In it, like I mentioned I messed up in this first bullet journal, I have 2 indexes in my new journal. One is by date and then one is by category. It’s working great so far. I am very much a to-do-list-person, but if you aren’t you might find it more fun if it’s colorful and full of stickers and embellishments. I used to think I had to “save” all that stuff for more important things like my scrapbook, but what better way to use these things than to be able to see them every single day? And let’s be honest, if you are a scrapbooker, you probably have more supplies than you ever could use anyway, right? 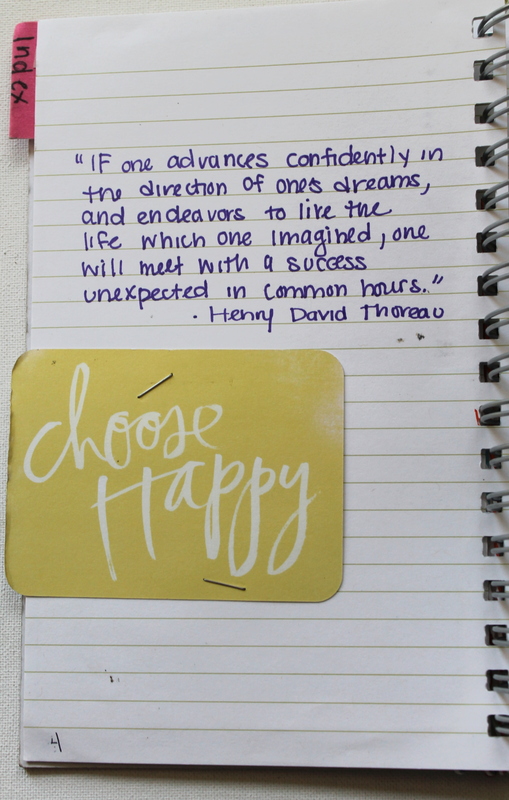 I like to staple in journaling cards (this one is from the Dreamy edition of Project Life) and just put them off to the side to create a little tab. When the journal is closed, it sticks out a little. 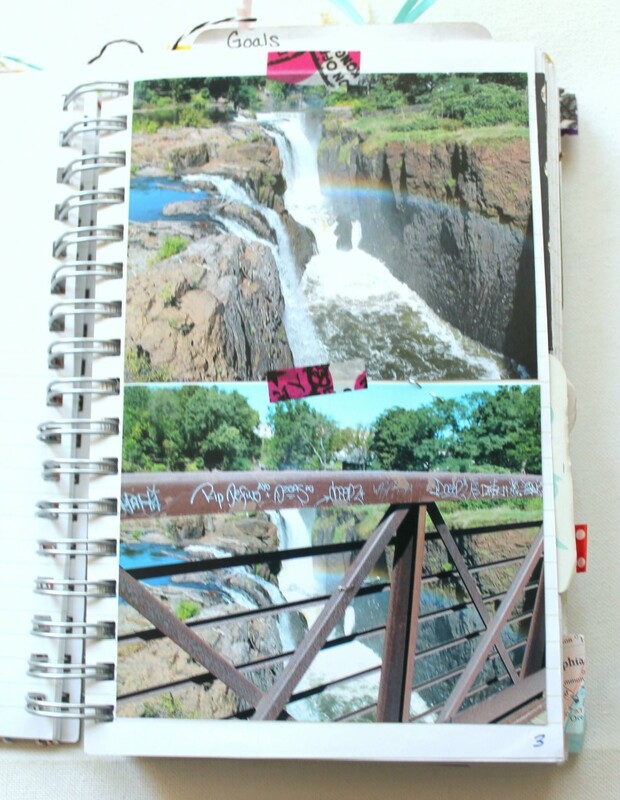 The photos that end up in this journal are usually extra photos that I had printed that I didn’t end up using in my scrapbook. I have my photos printed at a lab and I don’t always know exactly what photos I will use or not use, so I always have extra. 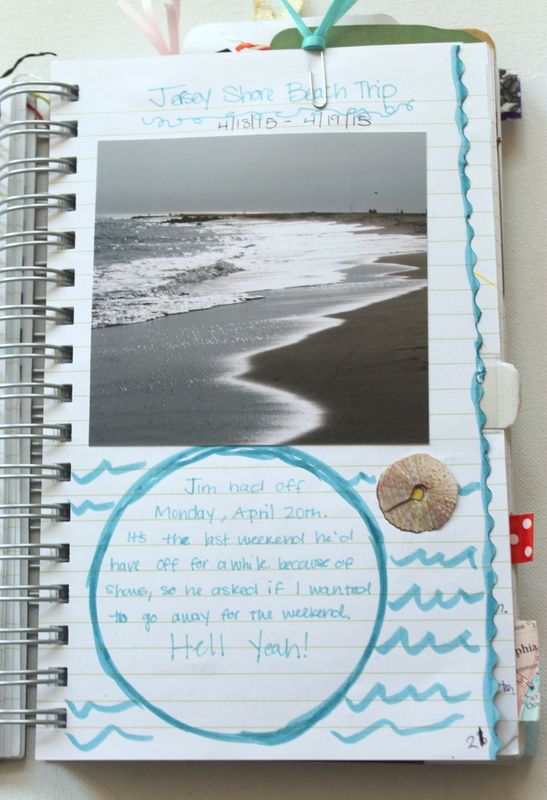 In the case of the beach photo, I did the journaling but left spaces for photos throughout. As I mentioned in the video, I like to journal about trips or events right away and I don’t always get to scrapbooking them until later. It’s great to be able to refer back to this journal to see what I wrote when my memory was fresh. This is the front inside cover and first page. I have a couple inspiring quotes that I can refer to anytime I like. It gives the journal a really inspiring feeling. I also put my daily to do lists in this journal. They’re in there right with everything else. I just put it on the next page. If I want to journal, it could be the page right after a to do list or whatever I was writing the day before. My very organized brain couldn’t really get this at first. I had separate journals for everything. But it’s actually so much less confusing with everything together. Plus there is the index at the beginning to keep everything organized. I hope you enjoyed and maybe were inspired by my bullet journal! 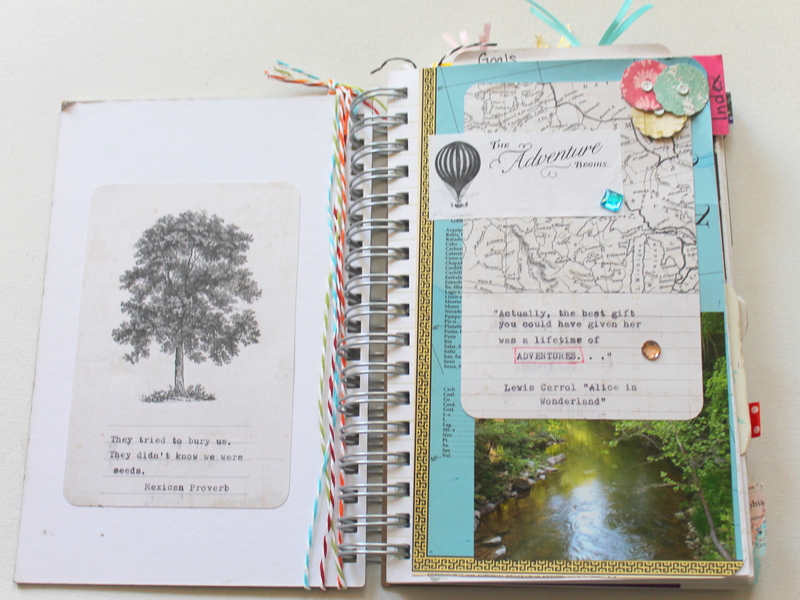 This entry was posted in Creativity and tagged bullet journal, creativity, inspiration, journal by Kimberlie. Bookmark the permalink.